Pin it! 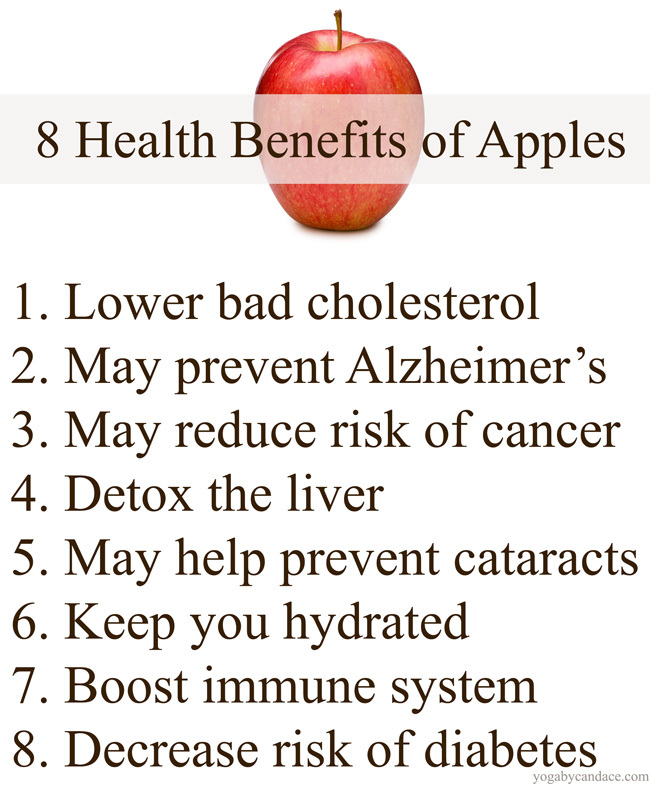 Health benefits of apples. It turns out there's really something to the old saying "an apple a day keeps the doctor away." Given that they're sweet, crunchy, and all-around delicious, they make this health advice easy to follow. As plain old apples can get old after a while, I like having them with homemade almond butter, or making them into apple sauce, or apple crisp. With November having just arrived, 'tis the season. PS- Should you do yoga in times of stress?